There are a whole range of benefits to be had by introducing a bit of off-road running into your training plan. 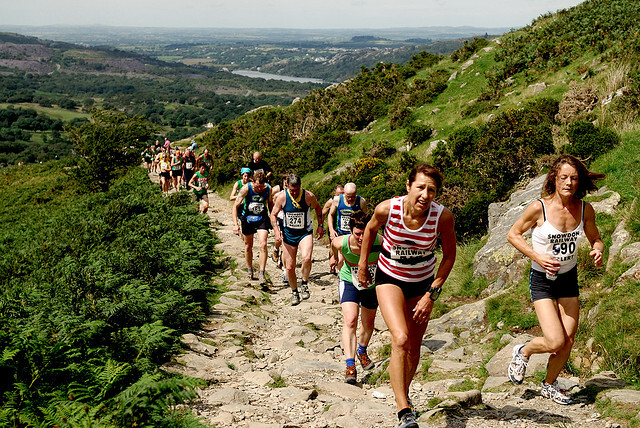 Off-road running is generally tougher than running on tarmac and while this, and the thought that off-road running is just a twisted ankle waiting to happen, may put some runners off, adding some off-road action to your training can provide massive benefits. Running off-road is harder than pounding the streets because trails and mud are squidgy and this absorbs some of the energy you’re desperately trying to power into the ground. This means that for every stride, every push-off you are having to work that much harder. Depending on how technical the particular off-road stretch is it is likely that you will also be working harder to stay balanced and to maintain good running form. This in itself will force you to be engaging your core muscles more than you would plodding along a pancake-flat roman-road. With the extra shock absorption that trails and mud underfoot provide this will inevitably take some of the impact felt through your knees and joints when running. A 70kg runner is dealing with 560kg of impact each time they land It is often said that with each step, you need to multiply your weight by eight times to get a reflection of the impact that your body is dealing with stride after stride. Therefore, adding a bit of off-road running to your training can really help give your joints and muscles a bit of a breather every now and then.